​HAVE YOU DREAMED OF STARTING YOUR SMALL BUSINESS? LET’S MAKE YOUR DREAM A REALITY! IN 4 DAYS MARK YOUR CALENDARS…. 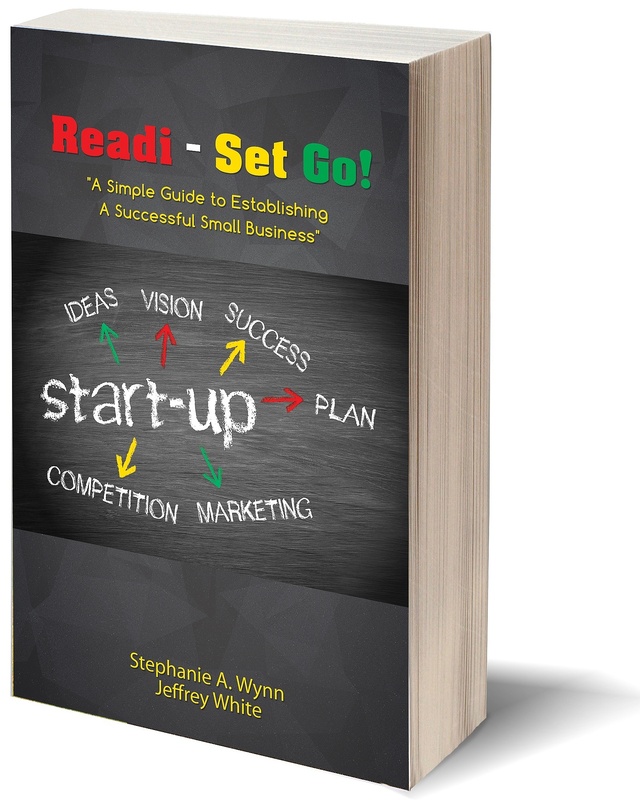 LOCAL AUTHOR STEPHANIE A. WYNN OF READI-SET GO! A SIMPLE GUIDE TO ESTABLISHING A SUCCESSFUL SMALL BUSINESS CO-AUTHORED WITH Jeffrey White WILL BE AT BOOK’S AT PARK PLACE SATURDAY SEPTEMBER 16TH FROM 2PM-5PM. NEED TIPS ON HOW TO ESTABLISH YOUR SMALL BUSINESS? 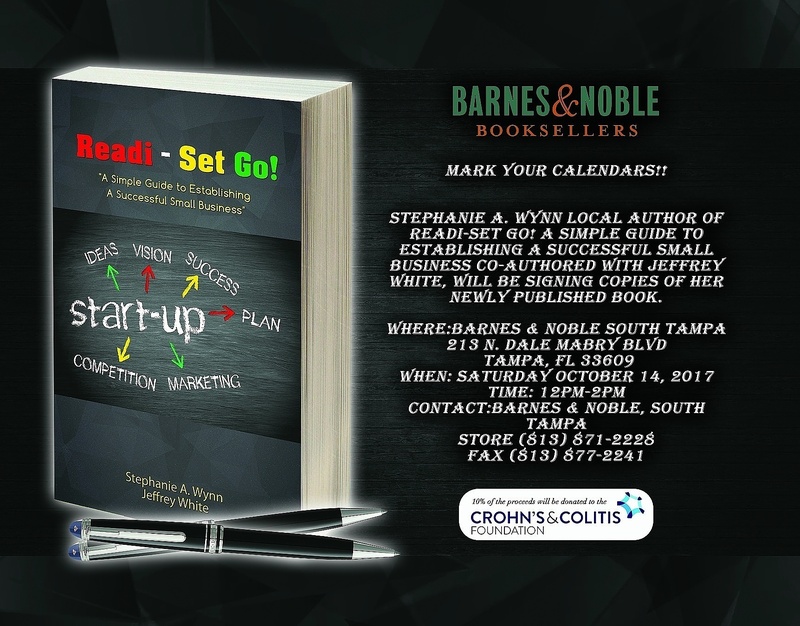 COME OUT AND MEET LOCAL AUTHOR STEPHANIE A.WYNN OF READI-SET GO! A SIMPLE GUIDE TO ESTABLISHING A SUCCESSFUL SMALL BUSINESS CO-AUTHORED WITH Jeffrey White WILL BE AT BOOK’S AT PARK PLACE SATURDAY SEPTEMBER 16TH FROM 2PM-5PM! IF YOU ARE UNABLE TO ATTEND AND WOULD LIKE TO PURCHASE A COPY OF THE BOOK PLEASE VISIT MY WEBSITE:STEPHANIEAWYNN.COM. ​NEED TIPS ON HOW TO ESTABLISH YOUR SMALL BUSINESS? ​What’s Keeping You From Starting Your Small Business? Is it Procrastination? Is it the Fear of the Unknown? It’s Time To Get Out Of Your Way! Let’s start today! Come meet local author Stephanie A. Wynn of Readi-Set Go! 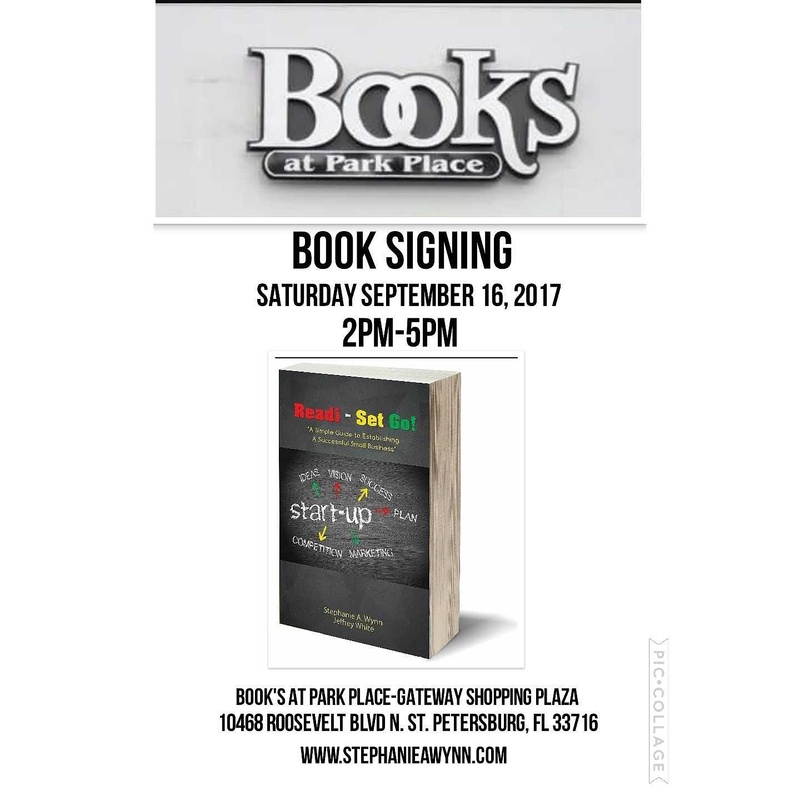 A Simple Guide To Establishing A Successful Small Business, co-authored with Jeffrey White will be at Barnes and Noble South Tampa Saturday October 14th from 12pm-2pm. If you’re unable to attend and would like to purchase a copy of the book you can purchase on my website: stephanieawynn.com.